Europe’s discussion on whether or not titanium dioxide should be classified as a cause of cancer is slowly coming to a head as the European Commission now waits for a March 7 meeting of the Registration, Evaluation, Authorization and Restriction of Chemicals Committee. The European Chemicals Agency’s Committee for Risk Assessment (RAC) announced June 9, 2017, that it concluded that TiO2, a substance commonly used in paints, construction materials and other industrial and consumer goods, meets the criteria to be classified as a suspected cause of cancer via inhalation, under Category 2. Europe’s discussion on whether or not titanium dioxide should e classified as a cause of cancer is slowly coming to a head as the European Commission now waits for a March 7 meeting of the Registration, Evaluation, Authorization and Restriction of Chemicals Committee. This followed a France dossier that recommended cancer labeling for TiO2. At the time, French regulators argued that the substance is likely a Category 1B carcinogen, meaning it is known to cause cancer in humans. The French regulatory body ANSES sought “harmonized classification” for the substance across the entire EU. 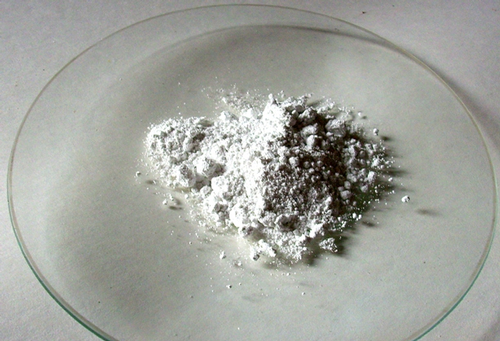 TiO2, a white inorganic substance, occurs naturally in several kinds of rock and mineral sands and has been used in many products for decades. 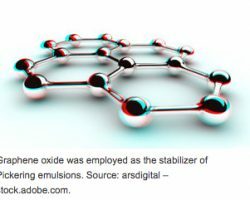 It can be manufactured for use as a pigment or as a nanomaterial. The American Coatings Association issued a statement Monday following the RAC’s 2017 announcement asserting that the recommendation is unfounded. In the coatings industry, TiO2 is most notably used as a white pigment, in industrial and protective coatings as well as architectural paints. The ACA has repeatedly expressed concerns that all paint products containing the substance could be labeled as carcinogens under the EU’s classification system. The RAC’s recommendation that it be classed in Category 2 means the body believes TiO2 is a suspected carcinogen and should be treated as if it causes cancer, but stops short of calling the substance a known carcinogen. The Titanium Dioxide Manufacturers Association, which represents the TiO2 industry, has also issued a statement expressing its disappointment in the recommendation. 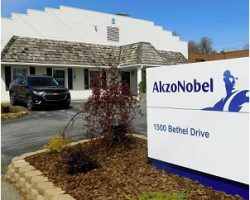 According to European Coatings, the REACH Committee met on Feb. 14 to discuss the chemical legislation for several hours before postponing the topic to a special meeting on March 7. If the committee doesn’t come to a qualified majority decision, the topic will be put in th hands of the new European Commission after elections in the fall. “This now gives the European Commission the opportunity to make up for the lack of assessment of the economic and social consequences,” said Martin Engelmann, Managing Director of the German Paint Manufacturers Industry VdL. There are officials reportedly looking into creating a workplace limit for TiO2 dust instead of the blanket Category 2 classification. As an update to my email about the Amazon Restricted Substance List below, we now hear that Amazon is to ban the listing and sale of paint strippers containing methylene chloride and n-methylpyrrolidone (NMP). Amazon has indicated that the policy will apply globally from March next year. Companies selling paint strippers online will have to provide Amazon with documents confirming that they do not contain the two solvents. Regarding transparency, the policy sets a goal of making health and sustainability data “as easy for customers to access and interpret as price and customer reviews” for products and will work to achieve fuller ingredient disclosure for its own brands. It is looking to add website features to make it easier for customers to access information about product ingredients and third-party certifications. Three current and former paint-industry companies are arguing their appeal in hopes of reversing a $1.15 billion judgment in the state of California that would require an abatement of contamination caused by decades-old lead paint. In a hearing Thursday (Aug. 24), attorneys representing The Sherwin-Williams Company, ConAgra Grocery Products Co. and NL Industries Inc. argued for a reversal of the Dec. 2013 ruling, which initially dictated that all three companies must shell out a total of $1.15 billion to abate lead paint contamination in affected homes in the state of California. Primary points of the companies’ argument included that moving forward with the abatement would uphold an unprecedented expansion of public nuisance law, and that the companies themselves should not be held liable for old advertisements that promoted the use of lead-based paint. “The plaintiff historians were unable to provide a single advertisement where Sherwin-Williams advertised lead-based paint for interior use or white lead carbonate in old lead paint in any of its advertising,” Tony Dias, a partner at Jones Day, which is representing Sherwin-Williams for this case, told Durability + Design News. The lawsuit, which was originally filed in 2000, intended to hold several gas, paint and chemical companies accountable for was deemed a massive public health crisis brought on by the presence of lead paint in a number of California homes and buildings. Sherwin-Williams and two other former lead-paint manufacturers are appealing for a reversal of a $1.15 billion judgement that would require an abatement of contamination caused by the paint. During the 2013 trial, Judge Kleinberg dismissed Atlantic Richfield and DuPont, subsequently ordering Sherwin-Williams, ConAgra and NL Industries to pay $1.1 billion into a fund that would be distributed to the 10 cities and counties affected, as needed. At the time, the court also denied Sherwin-Williams’ cross-claim, which cited that intact lead-based paint was not a hazard under state law, and that property owners were responsible for the abatement of the associated hazards. In 2014, the judge increased the liability to $1.15 billion. 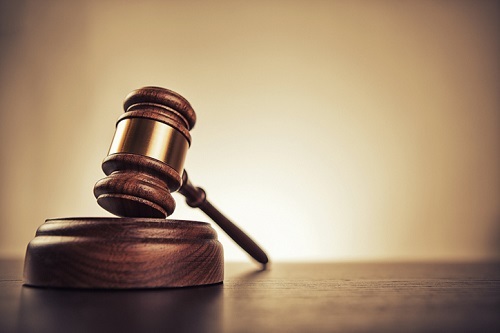 That same year, after being denied the vacation of an amended judgement and the granting of a new trial, the three defendants filed notices of appeal, which effected an automatic stay of the judgement. In the latest appeal, those paint companies still involved in the lawsuit appealed for an overturn of the abatement ruling, given that, according to the companies, it conflicts with evidence, is not in line with public nuisance law in the state of California, and conflicts with existing regulations that seek to prevent children being exposed to lead. Sherwin-Williams asked the court to have the plaintiff identify specifically where the public nuisance existed in individual properties. The companies were not given permission to inspect these properties. The defendants currently seek for the judgement to be vacated at minimum, remanding for a new trial. As it stands, the companies argue that they could not have known of the public health risk at the time the lead-based paints were produced decades ago. It was in 1978 that the federal government banned the use of this kind of paint in residential buildings, and lawyers for the companies note that the paint industry had already been working with authorities for 20 years to eliminate lead in interior paint. The companies also argue that the real risks associated with lead dust were not fully understood until the 1970s. The impact of the coating has also been mitigated by both laws and mandated inspections to prevent hazards associated with lead-based paint, the paint companies assert. 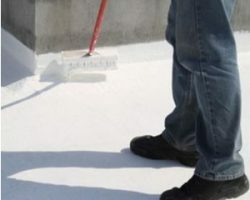 Government entities maintain that well-maintained paint does not pose a hazard to children, the attorneys for the firms note, and the responsibility for maintenance falls on property owners. If hazards do arise, people have not been maintaining their property accordingly, and inspectors have failed to enforce standards, the companies say. The companies also argue that, in California, the Childhood Lead Poisoning Prevention Program was established three decades ago to address these concerns, and what has resulted is steadily declining blood lead levels. The program allows intact lead paint to remain in place. If the judgment moves forward as decided in 2013, the companies argue that for properties where lead-based paint has been used, if the owners do not want them inspected, the property itself will essentially wind up on a government “blacklist,” which can impact value. Meanwhile, a massive abatement program throughout the state for lead paint that’s been undisturbed in the past could have effects opposite their intention, the lawyers for the companies argue..
“The decisions here at the trial court put in place an abatement program that that is not only unwarranted, but is also unfair and unwise,” Dias said. Successful scale-up from laboratory to pilot plant and pilot to production plant. The ability to characterise and understand the conditions of the large scale operation is important. You need to establish whether the performance in the lab can be successfully re-created at full scale and what critical variables may limit this. Agitation intensity and the effect of mixer geometry – What is required to suspend any solids, disperse gas, create droplets or complete reactions to the required quality? Heat transfer performance – Can you maintain the required temperature throughout the reaction? Maximum feed rates, and the most appropriate feed strategies to manage them It goes without saying that you need to ensure the process makes product of equal or better quality to that produced in the lab. You’ll also need to make sure that the process runs safely and reliably, and maximises the utilisation of the available facilities. Need someone to guide you through the process, avoiding costly mistakes? We can help you make successful scale-up decisions and be confident in your approach because you’ll have full visibility of how we’ve come to our recommendations. We understand that every process is different and can support you with a combination of experience and understanding that goes beyond a simple calculation. By working with our specialist consultants you will benefit from our proprietary expertise, which is underpinned by over 30 years of leading edge industrial research. Our fluid mixing research consortium (FMP) is funded and steered by its industrial members, including market leaders from a broad range of industries, such as Dow Chemicals, Azko Nobel, GlaxoSmithKline, Procter & Gamble, and PepsiCo. The work undertaken within this research programme is at the leading-edge of industry. By tapping into this knowledge, our consultants can help get the best results for you and your team. Provide the tools to identify what’s limiting your current process and provide methods to improve it Not sure where we can help? Need to scale up right first time? OUR EXPERT OPINION PROCESS The successful scale-up from laboratory to pilot plant and pilot to production plant is critically important. You know the required production rates that must be achieved, but how can you be certain that the process can be successfully implemented? Furthermore, how do you select the critical operating conditions? 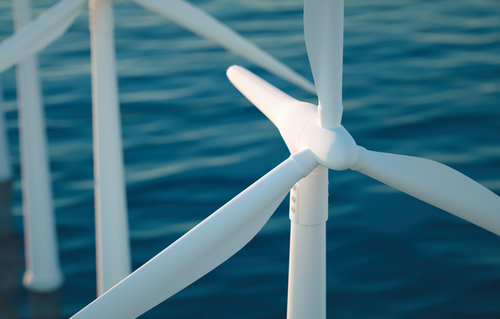 Protective coatings are the principle materials used on many industrial structures for corrosion protection. It should be recognized though that all protective coatings have a finite service life, and that independent of how well the coating system was originally applied, coating breakdown will eventually occur. Oftentimes the service life of a protective coating system can be extended by performing maintenance painting once the onset of deterioration takes place, reducing life cycle costs. The aspect to consider in coating selection then should be “time to failure,” not whether the system will fail. Some coating systems fail long before the anticipated service life is over. These are known as premature coating failures. Premature coating failures can be caused by improper surface preparation or coating application procedures, improper coating system selection, improper formulation or poor quality raw materials, or the design of the structure itself. When a premature failure occurs, an investigation can be undertaken to uncover three important discoveries: the cause of the premature coating failure, the party that was responsible for the failure and the level of repair required to ensure corrosion protection and integrity of the facility/structure. Andrew Liveris, chairman and chief executive officer of The Dow Chemical Company has announced that the Company will begin construction of a new USD 100 million Innovation Center designed to drive innovation at the intersections of silicone science and organic chemistry at the heritage Dow Corning corporate campus. The new facility will host approximately 200 research and development employees who will explore future technologies at the intersections of silicone chemistry and Dow’s unparalleled knowledge of materials science and organic chemistry. 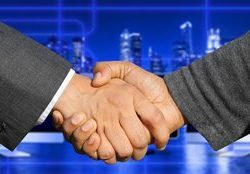 Dow, which started exploring silicone chemistry nearly 80 years ago upon creating the Dow Corning joint venture, enhanced its ability to combine these technologies after completing the ownership restructuring of Dow Corning in June, 2016. The new innovation center will be a key enabler in Dow achieving its initial $100 million growth synergy target, as well as more than $500 million of additional Dow-enabled bottom-line growth the Company now expects to achieve across the enterprise from integrating silicones into the Dow portfolio. This bottom-line growth, coupled with Dow’s latest cost synergy target of more than $650 million, greatly enhance silicones’ profitability. Dow now expects EBITDA to increase to more than $2 billion by the end of 2019 more than double its initial projection. This added R&D power will complement the work of Dow’s more than 1,200 researchers and developers already based in the Great Lakes Bay Region, to focus on market opportunities such as advancing technologies for home and personal care products, enhancing and broadening Dow’s energy-saving building technologies, advancing materials science for critical infrastructure and driving closer partnerships with customers and value chain leaders. Liveris first announced the project in December, 2016, at a Grand Rapids, Mich. event with then U.S. President-elect Donald J. Trump. These investments further illustrate Dow’s long-term commitment to investing and growing in Michigan’s Great Lakes Bay Region, as the Company also celebrated today the grand opening of its new global headquarters building in Midland – a state-of-the-art, 184,000 square-feet, six-story building that will host approximately 470 employees and contractors. During the last 10 years, Dow and its regional development partners have driven more than $400 million of investment and downtown economic redevelopment in the Great Lakes Bay Region, home to the Company and nearly 13,000 of its employees and contractors.